Request a quote for 7800 Series MCS. Fill out our Request a Quote Form and tell us your requirements. We promise to respond with fair pricing on your Cisco 7800 Series MCS within 24 Hours. Please not* we buy servers of all all Manufacturer brands. Free up your storage room space! We buy New & Used Cisco IP Telephony Chassis (MCS). Let us know if you have any surplus data center network hardware that you are looking to sell and we will quote you a fair market value. Cisco 7800 Series Media Convergence Servers provide highly available server platforms to host applications within the Cisco Unified Communications system. These platforms fulfill the enterprise customer requirements for Cisco Unified Communications Manager installations from two to 30,000 IP phones within a single Cisco Unified Communications Manager cluster. 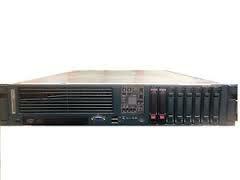 A-Z Computer Liquidators buy and sell used MCS 7800 Series Media Convergence Servers Products, modules and accessories.